of the Year” in the Branson Awards and the Terry Beene Music Awards! 15 years ago, the Welk Group presented its producers with a unique challenge - how do you capture the essence of an entire decade in just two hours? 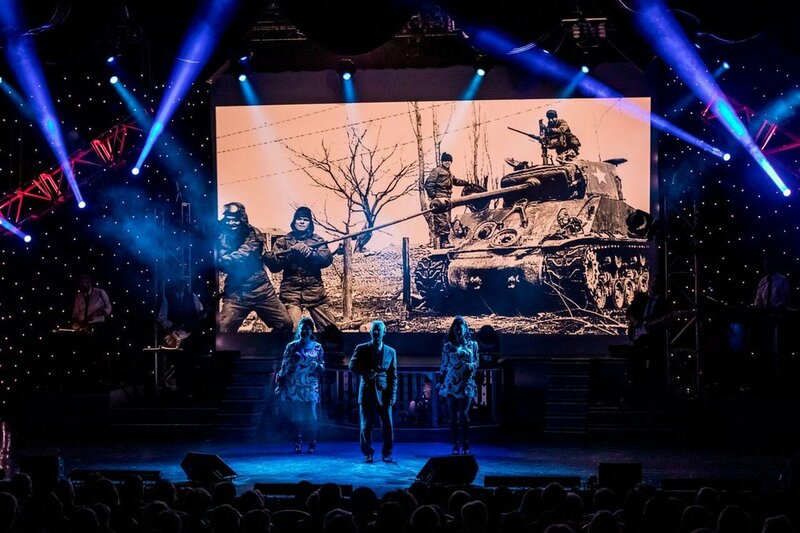 The result of that challenge became #1 Hits of the 60's, the ultimate decade show in Branson, MO. Every day we're asked "How do you have all that energy on stage?" That's easy - it's not work! Whether it's our interactive game ("Was It The 50's Or The 60's? "), the high school dance segment (where we take our audience back to their youthful school days), or the "Boots Are Made For Walking" segment where we transform an unsuspecting audience member into a hippie, we get to have fun and "go on vacation" with hundreds of visitors a day during our show. And our favorite part? That's easy too - it's that moment in the lobby after the show when all our new friends exit smiling and talking about all the memories we brought back... It's the best job in Branson! Kelly Parrish comes from a small farm town outside of Peoria, IL. At a young age she began her career in the TV and film industry in Chicago. She has worked with many stars such as Oprah Winfrey and R. Kelly. 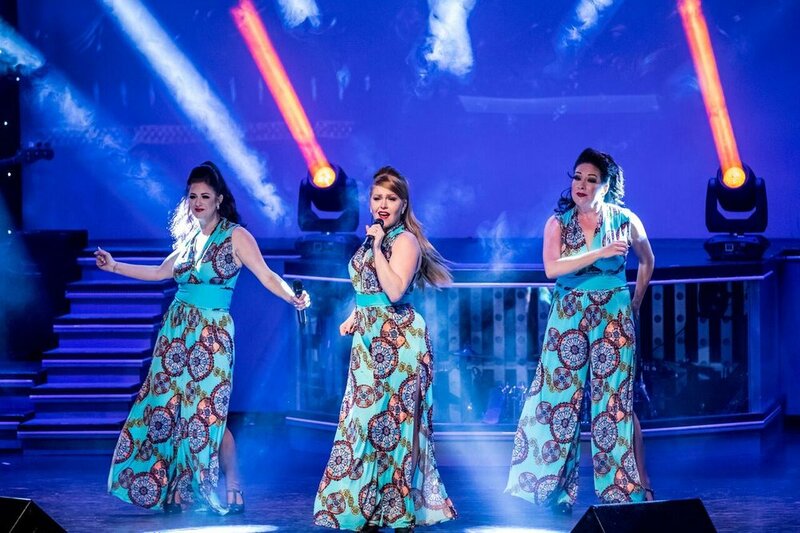 After graduating from Lincoln College, she made her way to Branson to perform with Jimmy Osmond in his American Jukebox show. Kelly said she has enjoyed making Branson her home as she and her husband, Steve, have two boys. Michael Jason Frost grew up in Rogersville, TN, not too far from Pigeon Forge, where he went on to spend several years as a performer. There, he was cast in productions such as "The Miracle" and "Joseph and the Amazing Technicolor Dreamcoat." Michael and his wife and daughter moved to Branson in 2014, where he has since appeared in shows such as “Dolly Parton’s Stampede” and “Disney’s The Little Mermaid.” Michael holds a bachelor degree in organizational management from East Tennessee State University. He is also a gospel songwriter, with several songs recorded by popular Christian artists. 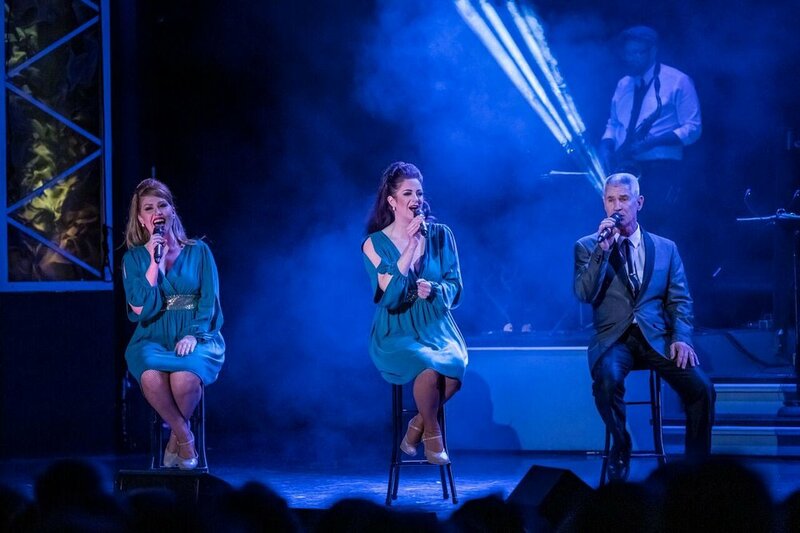 Michael also enjoys singing, traveling and recording with his wife Jen, and their daughter, Jael, as “The Frosts” trio. Michael said he is thrilled to be in his 4th season with #1 Hits of the 60s! Josh Carroll was born and raised in the small farm town of Odin, IL. It was in this southern IL town that Josh cut his teeth in the music industry. 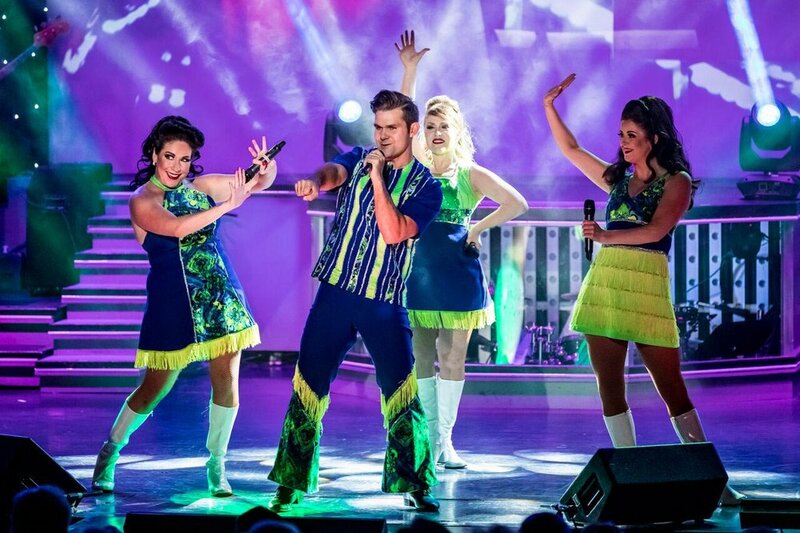 Coming from a large family of performers, Josh carried on the tradition and moved to Branson, MO in 2001 where he was cast in the Magnificent Country show at the White House Theater as a male lead and featured guitarist. He later went on to become the lead Guitarist for the Magnificent America Show at the White House Theater as well as a featured performer in the Magnificent Seven show. 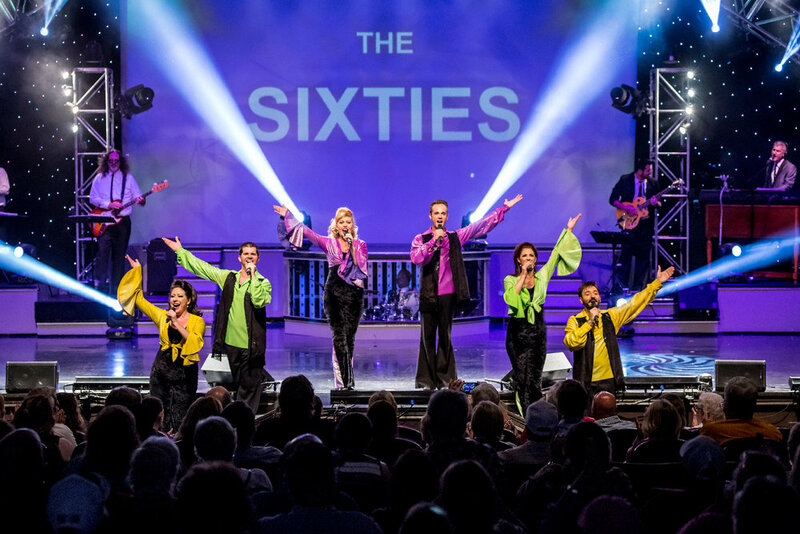 Josh can be seen playing lead guitar in numerous shows in Branson, including #1 Hits of the 60s! Mike Williamson grew up in a musical family with deep roots in the Ozarks. Mike learned to play guitar and sing harmony as a young child along with the rest of his brothers and cousins. Later, he picked up other instruments, including trumpet, trombone, euphonium, and tuba. As a teenager, he took up electric and upright bass (his main instruments). He also plays mandolin, ukulele, dulcimer, harmonica, and percussion. Mike studied music at College of the Ozarks, New Mexico State University, and the University of Missouri before becoming a full-time musician. Dino Phillips, from St. Louis, MO, has become known as one of Branson's most sought-after drummers. He has played in numerous shows in Branson over the past several years. Dino has been named "Drummer of the Year" and "Best Drummer" numerous times in the Branson Show Awards, as well as the Branson Terry Music Awards. Ryan Dunn is from Springfield, MO. He graduated from Missouri State University with a degree in Psychology. Soon after, he learned his passion was focused on being a professional saxophonist. Ryan is now a dedicated saxophone performer spending the last seven years in Springfield offering saxophonic stylings as a studio and live performance musician. He performs at numerous local and regional venues with a variety of bands in the style of rock, blues, funk, soul, Americana, reggae and his favorite--all the classic oldies! This is Ryan's debut Branson appearance. 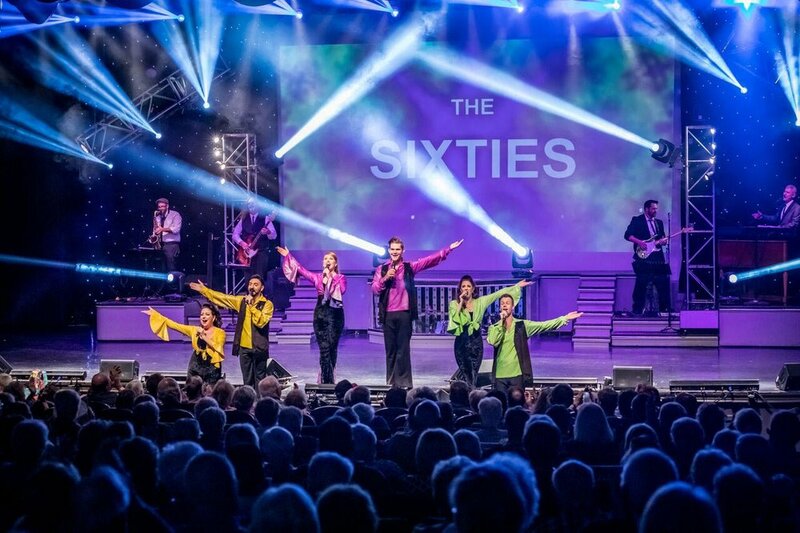 He is thrilled to be performing in Branson with #1 Hits of the 60's! Let us introduce you to the very talented Kaylee Ruden. 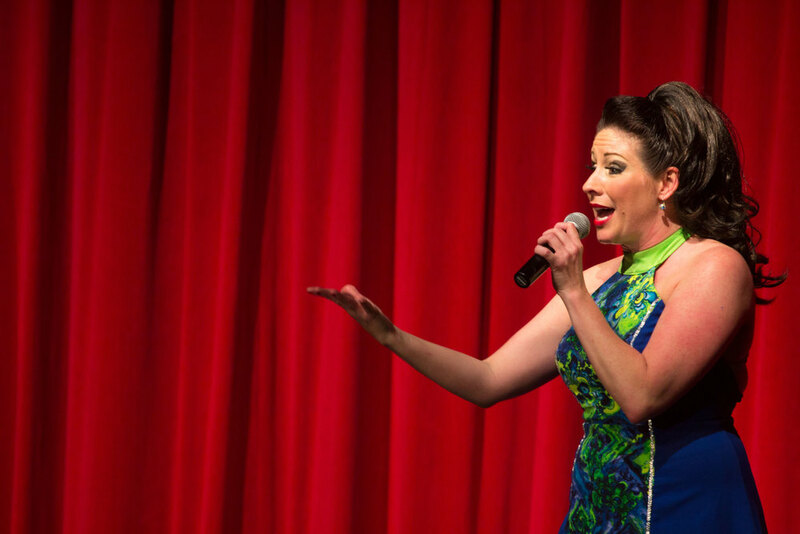 Kaylee is making her return as a featured performer in #1 Hits of the 60s this season, Originally from Mt. Zion, IL, Kaylee has been seen in numerous Branson shows, including productions at Silver Dollar City. She is also a hair stylist working here in town. Kaylee is married to Chad Ruden, who is also a performer here in Branson. Come and see Kaylee and the whole 60s gang! Eric Dalton is returning to #1 Hits of the 60s in 2017. 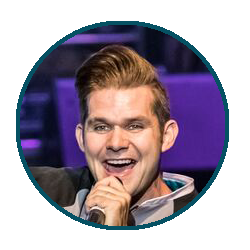 Eric originally hails from Clinton, MS. His performance resume includes being an entertainer with Holland America Cruise Line as well as singing and dancing in numerous productions throughout Branson over the past few years. He can also be seen performing at Silver Dollar City. Jordan Dickison is happy to be back with #1 Hits of the 60's. He is originally from Salt Lake City, Utah. He graduated with a Bachelors of Music, Dance and Theater from BYU. 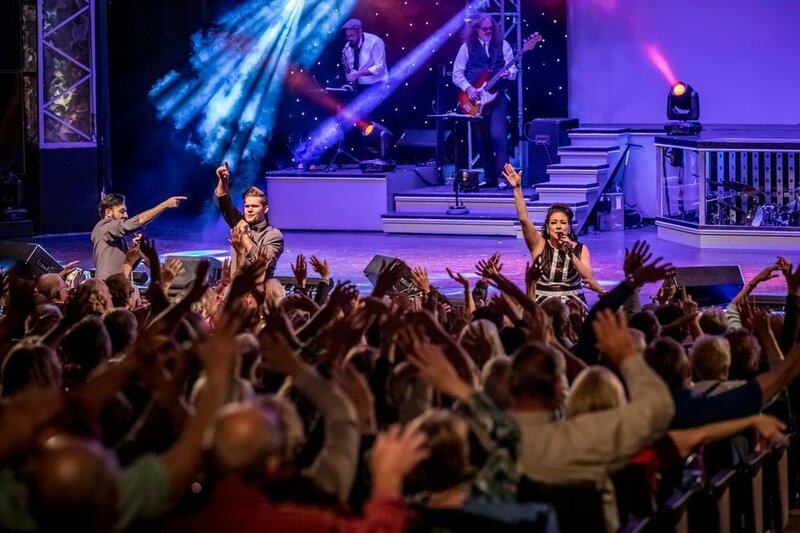 He moved to Branson 6 years ago were he has been blessed to perform in #1 Hits of the 60s, The Showboat Branson Belle, The Clay Cooper Country Express and Hot Rods and High Heels. He loves running with his son Brigham and exploring the beauty of Branson. He would like to thank his amazing wife Sarah for her endless support. He is thrilled and humbled to have the opportunity to groove with 60's music again! One of the BEST Family Pass Deals in Branson! Child 0 -3 & Under FREE! 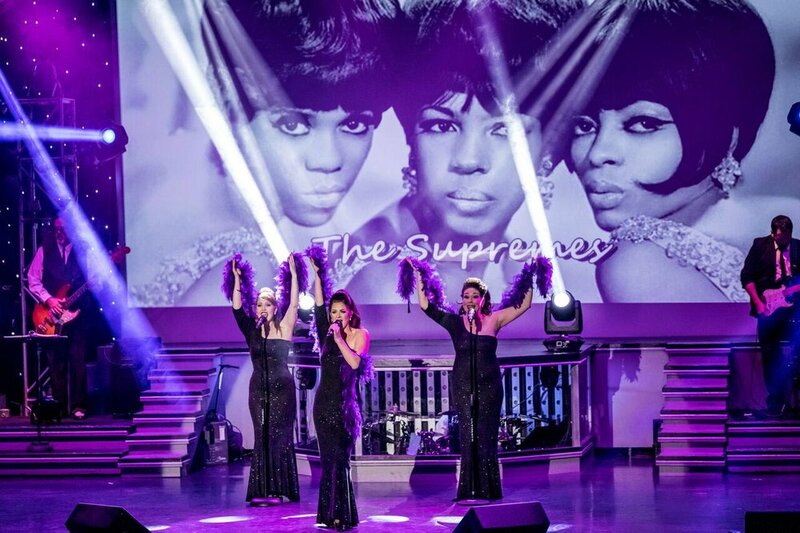 At #1 HITS OF THE 60's, your group's satisfaction is our #1 priority! We continuously strive to maintain the highest level of customer service, and aim to exceed your expectations. We invite you to relax and enjoy all that #1 HITS OF THE 60's has to offer! Our show goes out of its way to make your group feel special from the moment you enter the theater. In addition to a greeting from the cast as you enter the lobby, you'll find "groovy love beads" waiting for every member of your group. We'll take you back to your high school dance with a skit customized for your school. And best of all ... if you send us a few yearbook photos of your group, we'll put them on the big screen during the show! 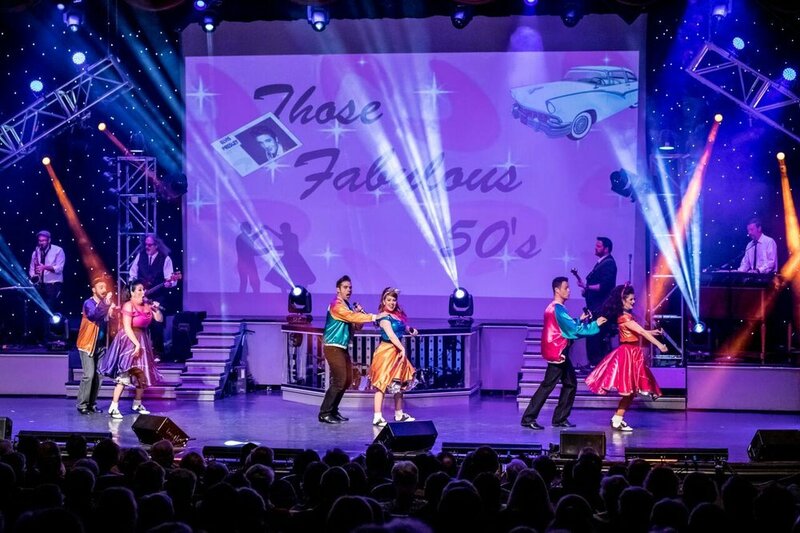 So come reminisce with #1 HITS OF THE 60's ( & 50's too ) - its the most fun you'll have in Branson! 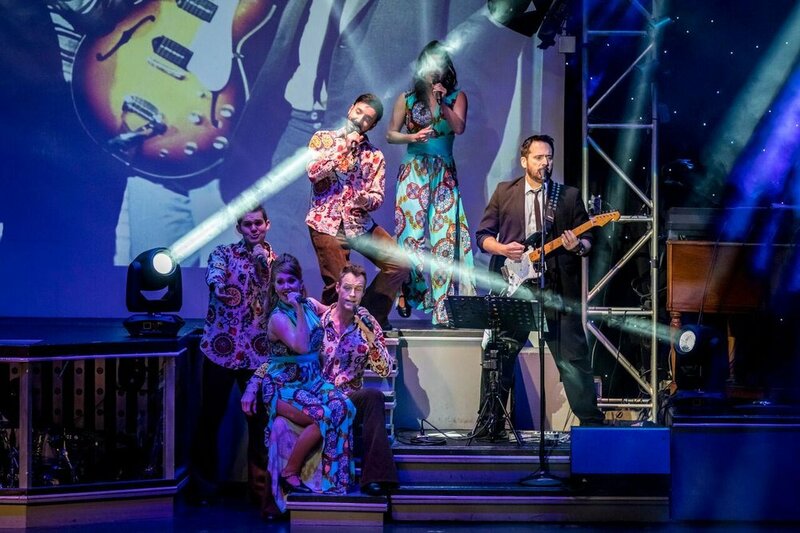 from the cast, and the owners of #1 HITS OF THE 60’S. Call 417-339-1968 for further information on featuring your reunion in our show.